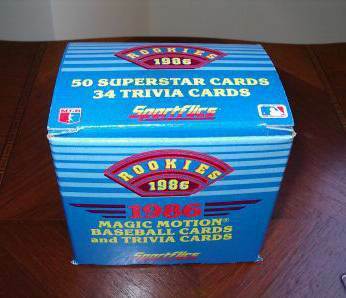 ↑ 1 random card was found in each box of Homers Cookies back in 1991. 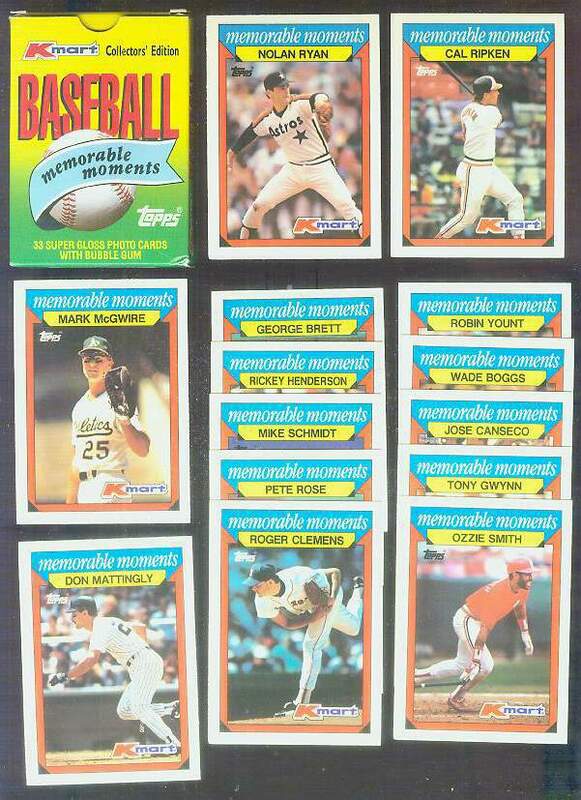 ↑ With Rickey Henderson ($2), BARRY BONDS ($8), Eddie Murray, Ryne Sandberg ($3), Barry Larkin and others. 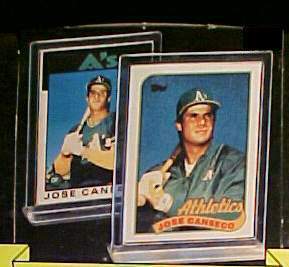 ↑ Aptly named - THESE HOT Die-Cut inserts are very special looking and very,very scarce with this player only once every 1,350 packs !!! 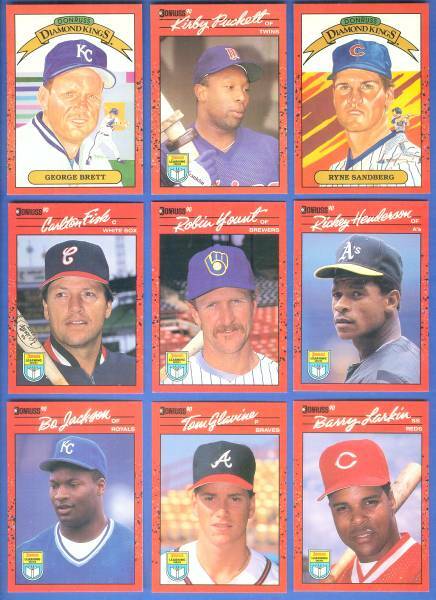 ↑ Includes 2 Rickey Henderson, Jose Canseco, Will Clark, Trammell, Eric Davis, Dave Justice, Mark Grace and Barry Larkin. 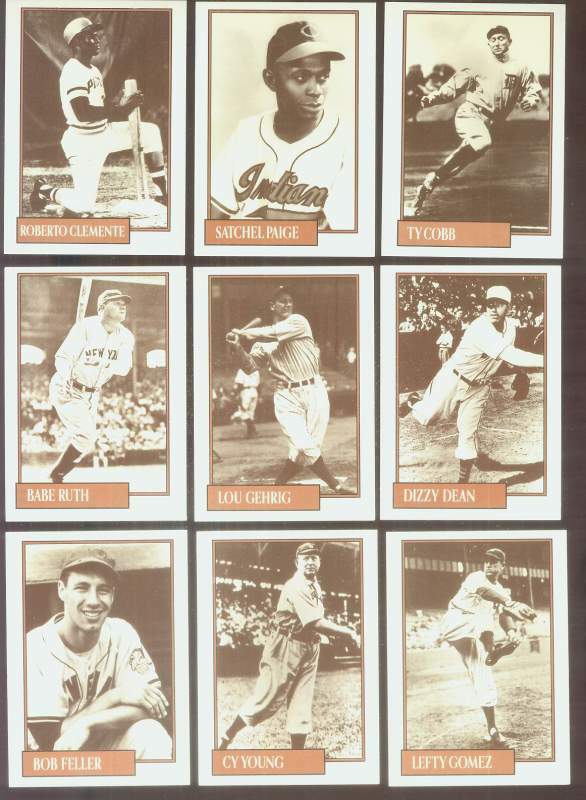 ↑ R.Johnson, M.Williams, T.Lee, Finley, Bell, Durazo, Benes !!! 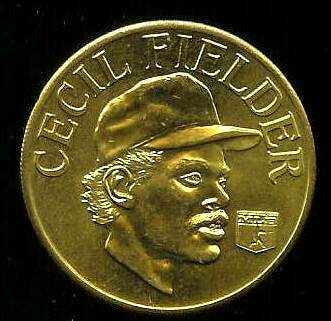 ↑ Piazza, R.Henderson, Zeile, Ventura, Alfonso, Franco, Leiter !!! 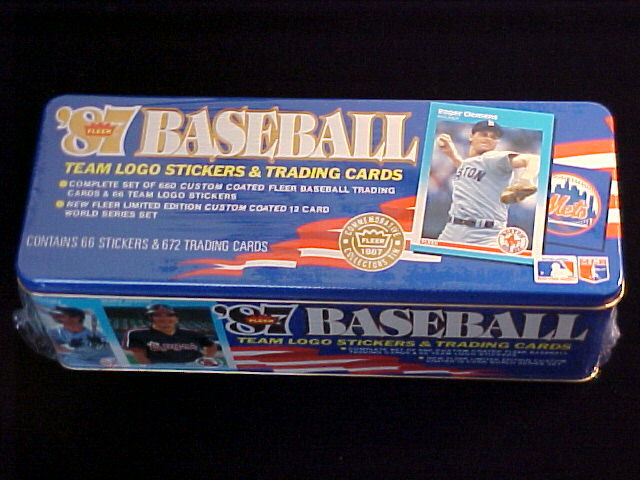 ↑ Barry Larkin ROOKIE, Buddy Bell,Eric Davis,Dave Parker,Team Logo card & others. 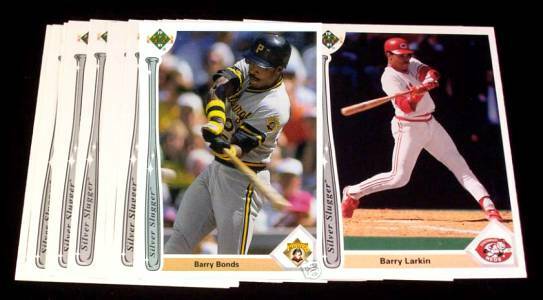 ↑ Possible GEM MINT ROOKIES of BARRY BONDS, Barry Larkin, Will Clark, Bo Jackson & others !!! 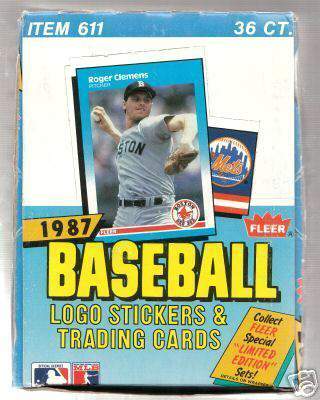 Fleer is Bonds's BEST ROOKIE !!! 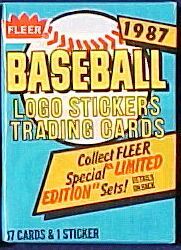 ↑ 50% more cards than wax box. 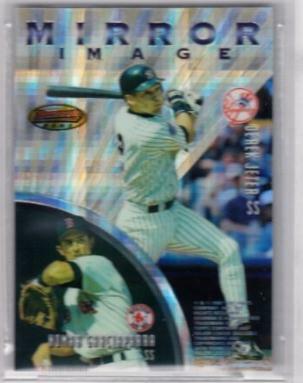 Possible GEM MINT ROOKIES BARRY BONDS,Barry Larkin,Will Clark,Bo Jackson & MORE !!! 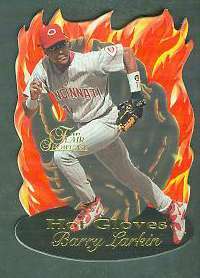 Bonds's BEST ROOKIE ! 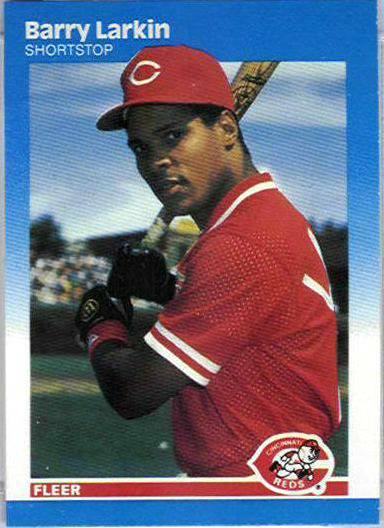 $9.95 1988 Donruss cello packs - Lot (7) BARRY LARKIN 2nd yr showing on TOP! ↑ (7) NM/MINT 36-card cello pack. 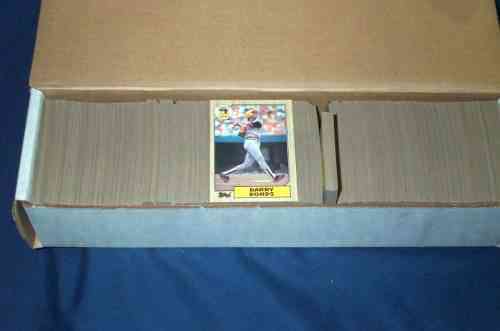 252 CARDS !!! UNOPENED & UNTOUCHED ! 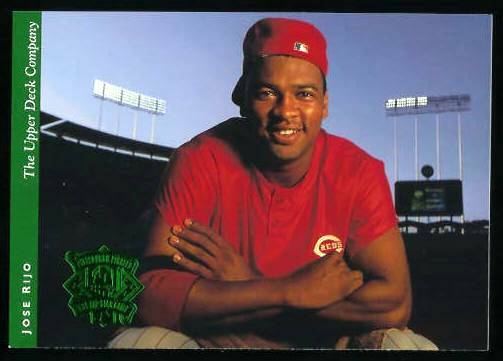 Each has a 2nd year Barry Larkin showing on top! ↑ Beautiful card!!! With Nomar Garciaparra & Barry Larkin. Sent in acrylic screwdown. 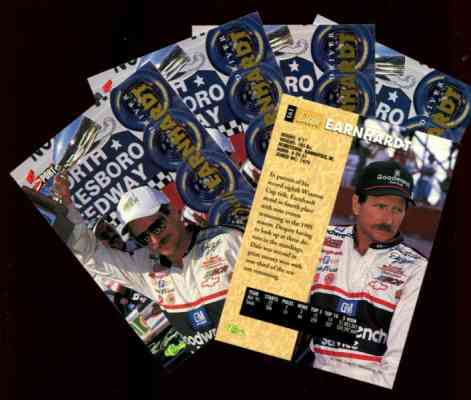 ↑ Super High Gloss insert quality card on premium card stock. 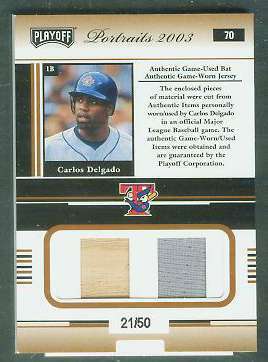 ↑ This is the very scarce GOLD Parallel. It is 50 times scarcer than the regular 'FanFest'. 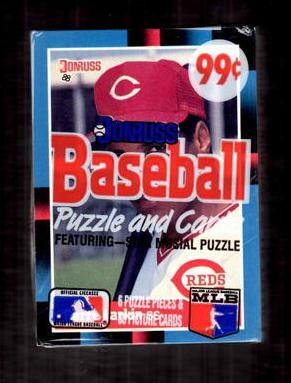 ↑ Back also features the Reds Barry Larkin. 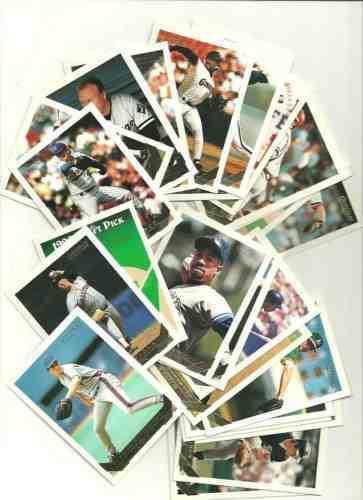 ↑ SCARCER GLOSSY ROOKIES of BARRY BONDS,Bo Jackson,Barry Larkin,Bobby Bonilla, Will Clark & MORE !!! 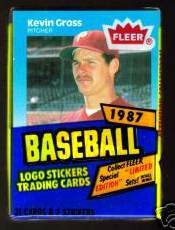 ↑ ROOKIEs of BARRY BONDS, Barry Larkin, Will Clark, Palmeiro, Bonilla & more PLUS MARK McGWIRE's 1st card as a major leaguer !!! ↑ A nice and very tough set to piece together ! 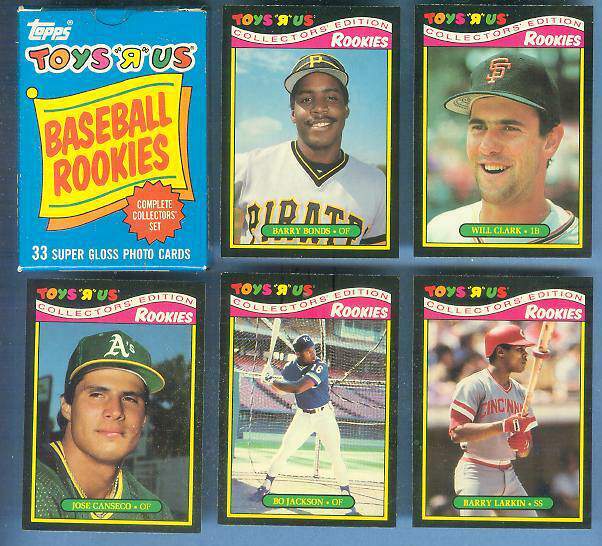 ↑ ROOKIES: BARRY BONDS($15),Bo Jackson($5),Will Clark,Canseco,Barry Larkin... PLUS special cards with Willie Mays,Rose,Seaver,Ripken !!! ↑ Beautiful & tough to find. 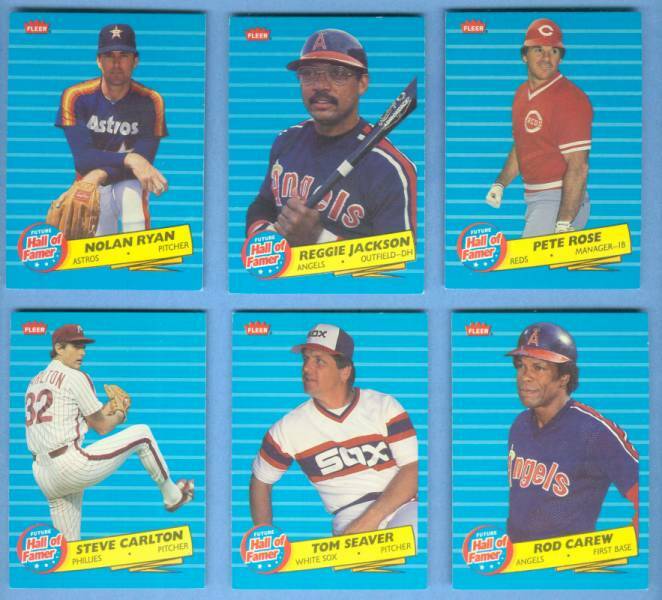 NOLAN RYAN($10),PETE ROSE,Tom Seaver,Reggie Jackson,Steve Carlton,Rod Carew make up this aptly named set! ↑ Sorted with not too many dups. 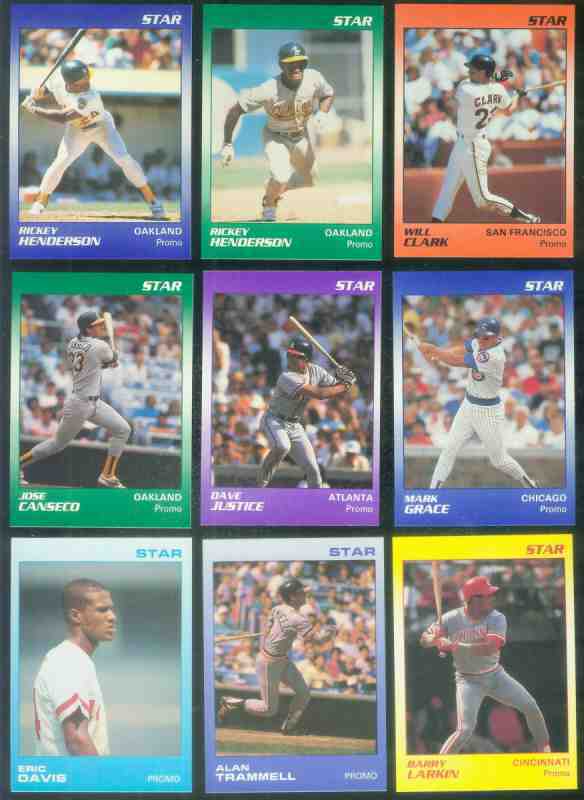 Mostly commons w/minor stars & rookies + Wade Boggs,Barry Larkin,Andre Dawson. 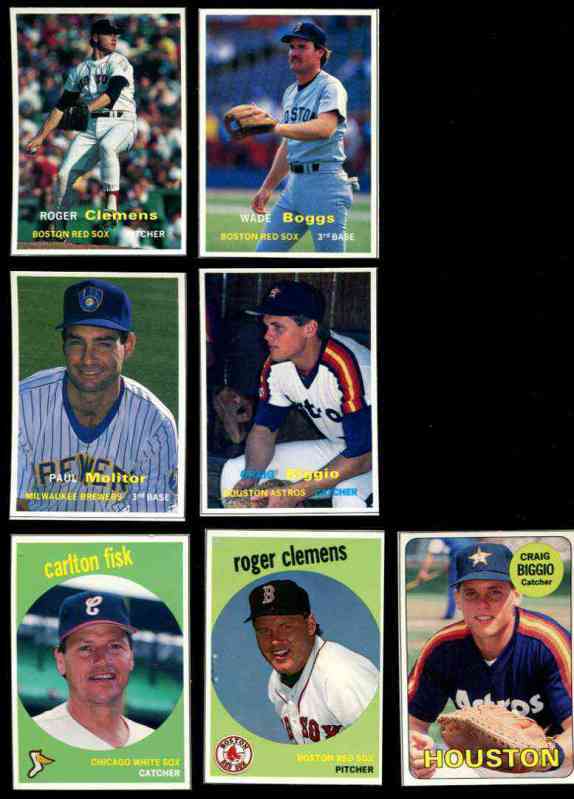 Commons list at .10 each.